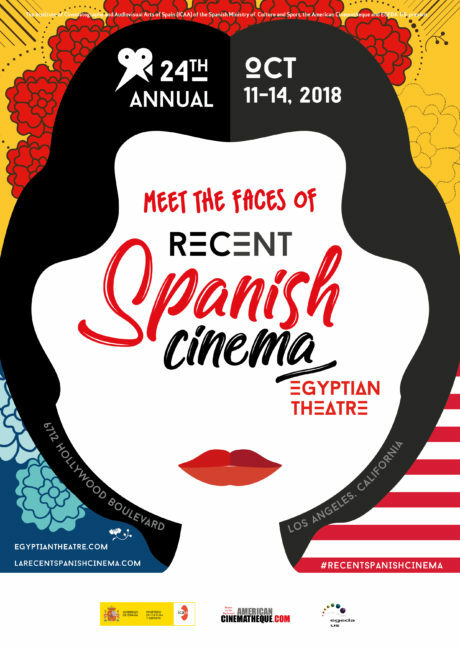 Following the success of the previous editions The Spanish Institute of Cinematography and Audiovisual Arts (ICAA), The American Cinematheque and EGEDA US present RECENT SPANISH CINEMA, a showcase of the most outstanding contemporary Spanish films at the Egyptian Theatre in Los Angeles, October 11-14, 2018. 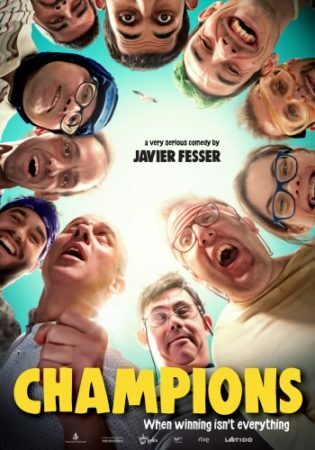 This year’s series will open with the Los Angeles premiere of Spain Foreign- language Oscars’ entry CHAMPIONS (CAMPEONES), the feel-good hit from Director Javier Fesser, starring Javier Gutierrez. Up-and-coming as well as established filmmakers and actors from Spain will join us at the screenings. The annual festival has exposed countless Angelenos to Spanish culture, from art and music to food, fashion and more. Over the course of four days, the film series showcases a variety of Spanish movies that will include seven Los Angeles Premieres, ranging from comedies to award-winning dramas and a thriller. As well as short film program and a roundtable with the actors and filmmakers in attendance. The program will include the moving drama THE GIANT (HANDIA) winner of 10 Goya Awards, including Best New Actor (Eneko Sagardoy), the Spanish box- office hit LOTS OF KIDS, A MONKEY, AND A CASTLE (MUCHOS HIJOS, UN MONO Y UN CASTILLO) by Gustavo Salmeron which won this year’s Goya for Best Documentary, and Fernando Colomo’s crowd-pleasing comedy THE TRIBE (LA TRIBU) starring Carmen Machi and Paco Leon. This is the first line up of movies. Exact details of the event and information on media accreditation will be announced in the following weeks. Stay tuned! Spain’s Official Oscar Submission! Los Angeles Premiere! CHAMPIONS (CAMPEONES), 2018, 124 min. Dir. Javier Fesser. In this hilarious and touching box office hit, Marco Montes (Javier Gutiérrez) finds himself at that mercy of a judge after losing his prestigious coaching job and getting arrested in a drunk driving incident. Part of his sentence involves coaching a basketball team of men with disabilities – an opportunity that may be Marco’s one chance to pick himself up and lead a team of talented players to victory. “A comedic slam dunk.” – Jonathan Holland, The Hollywood Reporter. In Spanish with English subtitles. Los Angeles Premiere! 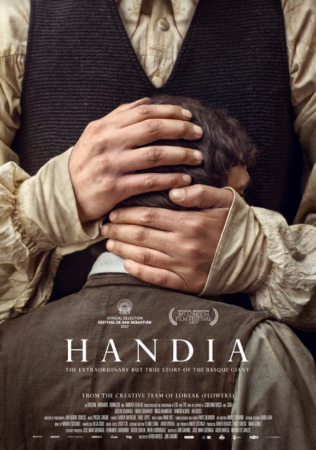 THE GIANT (HANDIA), 2017, 114 min. Dirs. Aitor Arregi, Jon Garaño. In this gripping period piece based on actual events, veteran Martín (Joseba Usabiaga) makes a shocking discovery upon returning home from the First Carlist War: his younger brother Joaquín (Eneko Sagardoy) has become the world’s tallest man. As the brothers try to profit on Joaquín’s worsening condition with a circus act travelling across Europe, they face a host of obstacles that test the limits of their beliefs and loyalties. A moving drama about sibling relationships, THE GIANT won an impressive 10 Goya Awards, including Best Original Screenplay, Best Original Score and Best New Actor (Sagardoy). “[A] film at once fantastic, allegorical and deeply poetic.” – Luis Martínez, El Mundo. In Spanish and Basque with English subtitles. 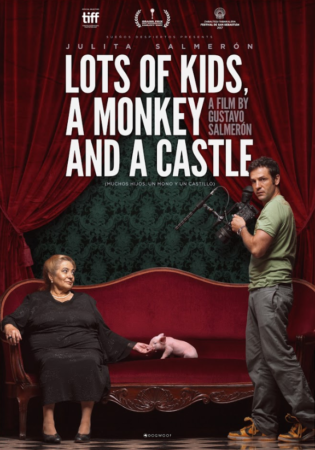 LOTS OF KIDS, A MONKEY, AND A CASTLE (MUCHOS HIJOS, UN MONO Y UN CASTILLO), 2017, 90 min. Dir. Gustavo Salmerón. Famed Spanish actor Gustavo Salmerón (MENSAKA, ASFALTO) makes his directorial debut in a feature film with this intimate documentary about his mother, Julita. Through a series of interviews, the film walks us through the woman’s entire life, including her past accomplishments, lost dreams and future hopes, creating a loving portrait that is both universal and deeply personal. The film has become a surprise favorite among Spanish audiences, as well as winner of Best Documentary at the 2018 Goya Awards. “A celebration of the life of an extraordinary woman with whom most viewers will probably also have fallen in love by the time the credits roll.” – Jonathan Holland, The Hollywood Reporter. In Spanish with English subtitles. Like the Recent Spanish cinema Los Angeles Facebook page.